For an annual trip to see The Nutcracker or A Christmas Carol, you’ll need something upscale that can be done in 10 minutes or less after work. First, take apart your topknot from the morning, split it into two separate buns and stack them on top of each other. Finish with a gold barrette or sparkling accessory underneath for a festive touch. It looks elegant and far more elaborate than it actually is. Dancing all night long is no match for this neat protective hairstyle. 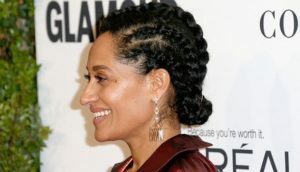 The tight braids show off your highlighted, contoured cheekbones and protect your hair growth from damage. For this updo, try thick cornrows braided into a low bun. If your hair is fine, instead of braids, twist sections of your hair and pin them as you go. This super-simple style is classic and classy, plus it couldn’t be easier to do. This style is especially good for medium-length to longer hair. 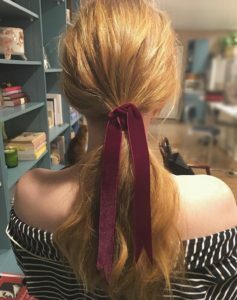 Simply gather hair into a low, loose ponytail and loosely tie it with a velvet ribbon in a jewel-tone colour for a wintry holiday look. You spend all day with your coworkers, but now you need to pull off a hairstyle change in your office bathroom that makes you look impossibly chic and fresh. This style is astonishingly easy to do, and will set you up for a night of networking with upper management. First, loop your hair into a low, loose knot and pull out a few casual pieces in the front (avoid the ’90s-style tendrils). Then, use a flat iron to add a little bend to those front pieces so they gently frame your face. A low, braided knot is effortlessly chic yet not too fussy. If you want to take the fancy up a notch, wrap a skinny braid around and pin it in place to add some texture (bonus: this will help hide the elastic band). That’s precisely the minute detail only your best friends would appreciate. A slightly dishevelled braid keeps even the most formal dresses from feeling too stuffy, which is perfect for an intimate dinner at someone’s home. To create the look, braid as you normally would and use your fingers to lightly pull apart a few sections, fluffing it out. This look says festive but casual. It’s especially great if you’ve been busily doing Christmas shopping all day and ran out of time to wash your hair. Slick back second-day hair into a high ponytail. 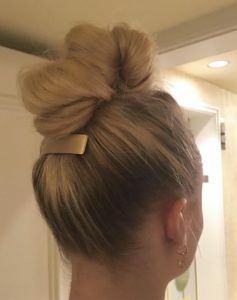 Then separate the ponytail into three even sections. Wind each section around a curling iron and let it cool. Break apart the curls by gently raking your fingers through your hair. The combination of sleek and curly is a genius disguise for oily roots and unkempt ends. 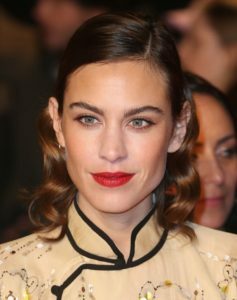 These retro ’50s red-carpet waves convey subtle elegance. Comb hair into a deep side part, curl hair into ringlets and then softly brush them out. Land the retro look with matte red lipstick and sparkly statement earrings.